An original Tiffany Studios Wisteria Lamp, the leaded glass shade featuring alternating clusters of variegated purple and lavender blossoms which cascade from a series of openwork branches at the crown, against a deep blue sky. The shade rests on a bronze "Tree Trunk" table base, the leading and bronze finish in a rich brown patina. 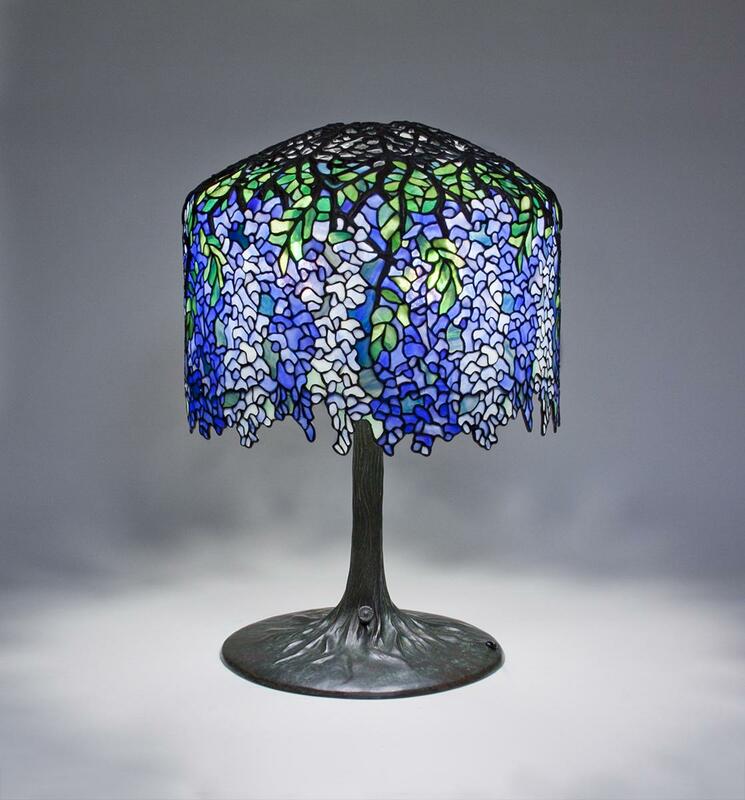 The Wisteria is one of a few rare Tiffany lamps wherein the overall design of the lamp represents a flowering tree or vine. Both the shade and the base are signed. 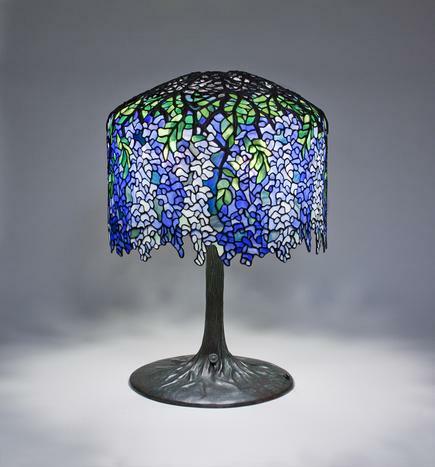 Designed by famed “Tiffany Girl” Clara Driscoll, head of the Women's Glass Cutting Department at Tiffany Studios, the intricate Wisteria lamp, comprised of over 1,000 hand-cut pieces of Tiffany glass, was one of the most popular "Tiffany Lamps" produced by the firm. Prized just as highly by today's Tiffany collectors, the Wisteria lamp remains an iconic example of Tiffany's design.